DRESDEN.- Staatliche Kunstsammlungen Dresden presents Madonna Meets Mao – Selected Works from the Yageo Foundation Collection, Taiwan, on view through January 4, 2009 at Kunsthalle im Lipsiusbau (Brühlsche Terrasse). 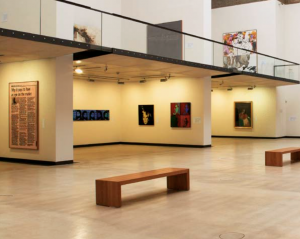 An exhibition by the Staatliche Kunstsammlungen Dresden in cooperation with the Yageo-Foundation. Since the mid-1990s Pierre T.M. Chen, owner of a globally operating electronics group, has been collecting outstanding works by artists such as Francis Bacon, Georg Baselitz, Andy Warhol, Cy Twombly, Anselm Kiefer, Gerhard Richter, Hiroshi Sugimoto and Andreas Gursky. 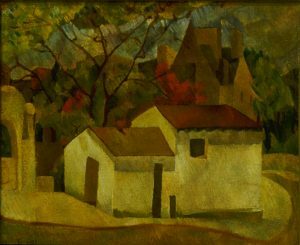 Before turning his attention towards Western art, he had already amassed a large collection of modern Chinese painting from the period 1920 to 1940. He also collects contemporary art from China and Taiwan, including works by internationally renowned artists such as Zao Wouki, Cai Guoqiang and Lee Mingwei. In Dresden the full array of this unusual collection is on display for the first time. 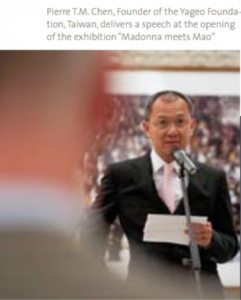 The works shown in the exhibition have been selected by the collector himself: “Madonna meets Mao”. As the title implies, this exhibition is the forum for an unconventional dialogue between works of Western and Far Eastern art. The Yageo Foundation was founded in 1999 with the aim of fostering cultural exchange between Asia and the Western world. A particular priority is to promote understanding of Chinese art and culture abroad. Over the past few years the Foundation has supported a great many projects and exhibitions all over the world. Pierre T.M. Chen has had a special relationship with the Staatliche Kunstsammlungen Dresden since 2007, when he generously allowed the painting “Tante Marianne”, a highly important early work by Gerhard Richter, to be exhibited in Dresden under a long-term loan.